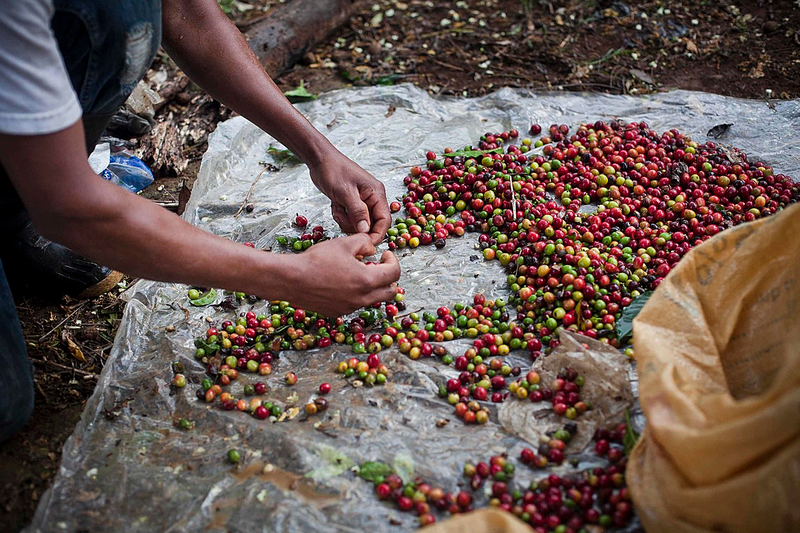 The Cost Rica is our current “drinker.” It’s smooth goes great with milk and in generally excellent. We recommend it as a V60. This is the first year we are buying coffee from the Guardia Family at Hacienda Sonora and we are quite excited to be working with them. Earlier this year in February we visited their farm located in the Central Valley of Costa Rica at the base of the Poas Volcano. The farms area is approximately 100 hectares, making up 55 hectares of shade grown coffee, 35 hectares of wild forest reserve, and 10 hectares of sugar cane. This coffee is grown at 1200 meters above sea level. Hacienda Sonora has complete control over each coffee from the time is grown, processed in the wet mill or sundried, then in dry mill until the coffee is loaded on the truck straight to the dock for export. This way, they are able to ensure quality throughout. The direct relationship with Hacienda Sonora is a win-win relationship for us at Eiland Coffee Roasters and the Guardia family as we are both seeking long-term relationships, top quality and sustainability through consistent pricing. We are honored to be working with Father-Son duo that aims to be excellent in all they do.